If you have been following along with us up until now, we have been exploring the reasons behind top wedding traditions and superstitions. Today, we consider why it’s thought to be bad luck for the groom to see the bride before the wedding ceremony. Why does tradition have the bride and groom first see each other as she walks down the aisle? And why do brides wear wedding veils? The surprising reason is one and the same, and may leave you wanting to break from tradition! Once upon a time, weddings were hardly the fairytale celebration of love and happiness that they have become in today’s modern world. No, weddings used to be a far less romantic event. Arranged marriages were the custom and were nothing more than a business transaction. A father would give his daughter to a man from another family to marry in exchange for something like the wealth, power, land, or livestock. Sheesh! The father of the bride would have to keep the groom from seeing his daughter for fear that if he found her unattractive or undesirable he would bolt and cancel the arrangement, thus casting shame on the bride and her family. So herein also lies the reason behind brides wearing wedding veils; the groom would not see the bride’s face until after they had said ‘I Do’ and he had lifted the veil covering her face. Then it would be too late to run! Isn’t that awful? Somewhere along the line this archaic way of thinking of women as property to be bartered and sold has spun into the modern day superstition about it being bad luck to the marriage if the groom sees the bride before the ceremony. It kinda makes you think twice about sticking to wedding tradition with this one, doesn’t it? For destination weddings here in Riviera Maya, we are seeing a break from the norm more frequently as the Bride and Groom choose to see each other before the wedding ceremony in a photo session called ‘First Look’. They usually do this because it is more convenient to their wedding timeline, but some just feel more comfortable, or less anxious, if allowed a short visit before they become husband and wife. Whatever your reasons for wanting to see each other before the nuptials, you might feel a little less nervous now about the karmic hex that could plague your marriage….that is, unless your betrothed is getting a sweet new pair of oxen out of the deal, of course! 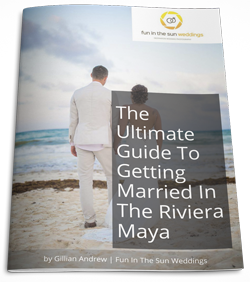 If you are getting married in the Riviera Maya, Mexico and want to get the best Playa del Carmen wedding photographer for your beach wedding, contact us now. 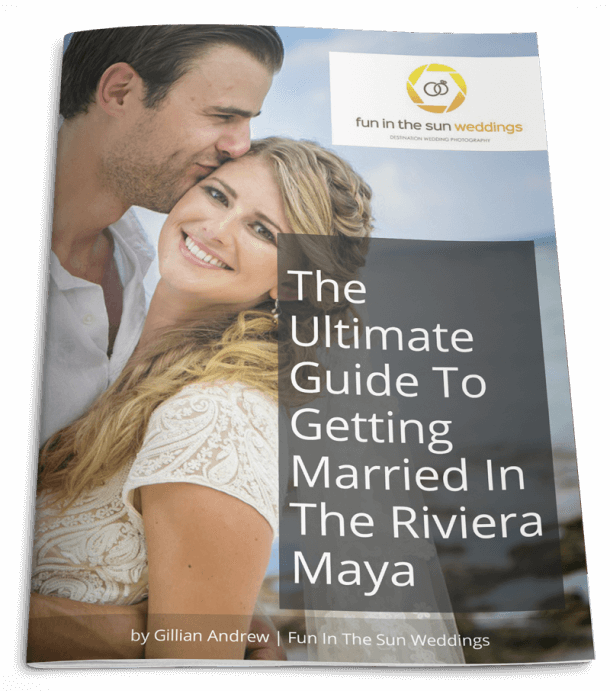 We are Fun in the Sun Weddings, for the best Riviera Maya wedding photography. Will you see each before the ceremony? We want to hear why in the comments below!